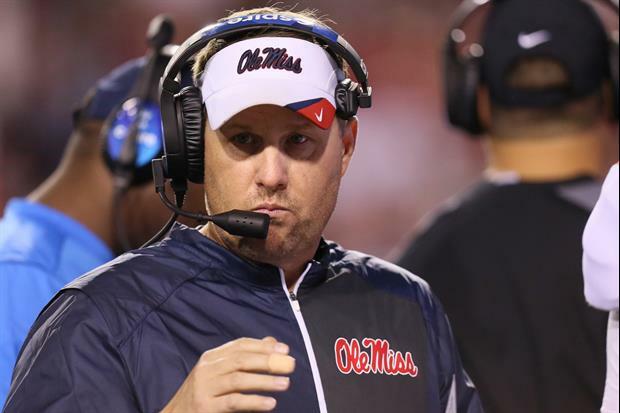 Former Ole Miss coach Hugh Freeze may be on the verge being employed again. There are two school apparently interested him at the offensive coordinator position. So, Tennessee or Alabama? Hmm...where do you see him going? Well, let's throw UGA in the mix to replace the fake kick guy. Bama? Really? Saban gets all the players AND coaches! O needs to step it up- there are better choices than SE! Just like when Apollo started training Rocky, if Saban gets Freeze it's over for CFB. Saban is the one running a coaching rehab clinic. Hugh needs help. Anywhere but SEC, but it would seem his past would hurt recruiting, but what do I know. U aren't going to have an opening.